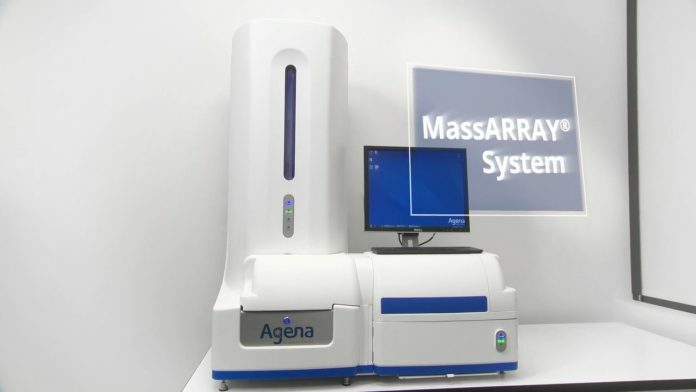 Agena Bioscience said today that its MassARRAY® System has been chosen by Assurex Health for laboratory setup and sample processing of its GeneSight Psychotropic test, under an expanded partnership whose value was not disclosed. GeneSight Psychotropic is a laboratory-developed test designed to help clinicians analyze how a patient's genetic make-up will impact that person’s response to different psychotropic medications. The test is intended to help clinicians choose appropriate medications for patients with depression and other mental health conditions. GeneSight Psychotropic was developed in Assurex Health’s clinical laboratory based on technology licensed from Mayo Clinic and Cincinnati Children’s Hospital Medical Center. The test is one of four tests carrying the GeneSight name. The other three are: GeneSight Analgesic, designed to assess genetic response to opioids, NSAIDs, and muscle relaxants commonly used to treat chronic pain; GeneSight ADHD, designed to assess patient response to ADHD medications; and GeneSight MTHFR, which assesses the methylenetetrahydrofolate reductase gene for genetic causes of folate deficiency. The MassARRAY System is a mass spectrometry-based platform for high-throughput genetic analysis designed to enable high-throughput, accurate detection of single-nucleotide polymorphisms (SNPs), insertions and deletions (INDELs), and copy number variations (CNV) across a variety of genetic applications. Assurex Health—a wholly-owned subsidiary of Myriad Genetics, which bought the company last year—initially selected the MassARRAY System for its test after concluding that it provided a robust, simple, highly cost-effective workflow resulting in faster time-to-result and greater capacity for the laboratory, Agena said. To date, Assurex Health has run over 150,000 GeneSight tests using the MassARRAY System. Under the expanded partnership, Agena said, Assurex Health expects to “significantly” increase the number of GeneSight test samples run on the platform. “We are proud to be chosen by Assurex Health, and see the partnership as a significant accelerator into this clinical market segment,” Agena CEO Pete Dansky said in a statement.